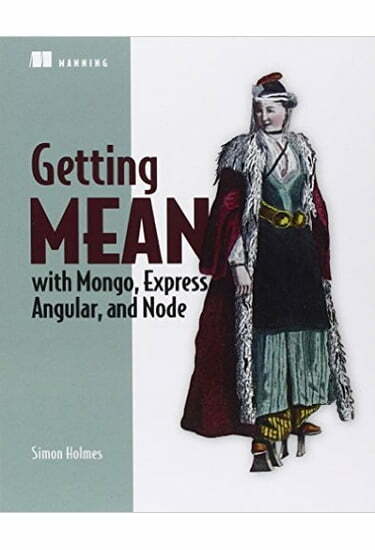 Getting MEAN with Mongo, Express, Angular, and Node teaches readers how to develop web applications end-to-end using the MEAN stack. You'll systematically discover each technology in the MEAN stack as you build up an application one layer at a time, just as you'd do in a real project.Purchase of the print book includes a free eBook in PDF, Kindle, and ePub formats from Manning Publications. Getting MEAN with Mongo, Express, Angular, and Node teaches you how to develop web applications using the MEAN stack. First, you'll create the skeleton of a static site in Express and Node, and then push it up to a live web server. Next, you'll add a MongoDB database and build an API before using Angular to handle data manipulation and application logic in the browser. Finally you'll add an authentication system to the application, using the whole stack. When you finish, you'll have all the skills you need to build a dynamic data-driven web application. Readers should have some web development experience. This book is based on MongoDB 2, Express 4, Angular 1, and Node.js 4. Simon Holmes has been a full-stack developer since the late 1990s and runs Full Stack Training Ltd.